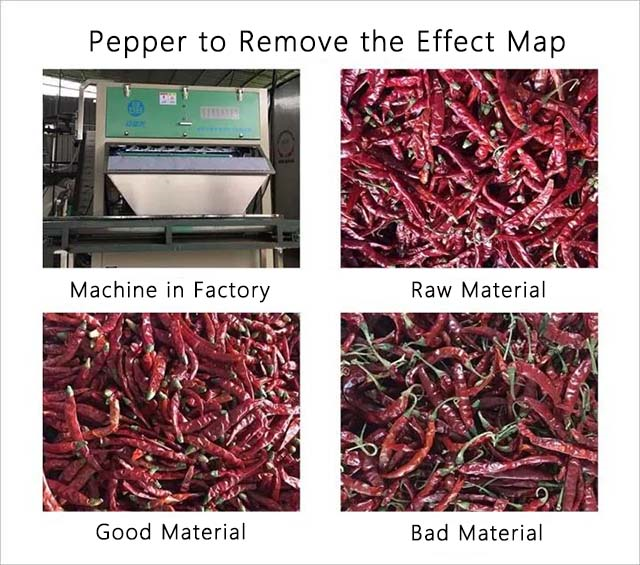 Fresh chili pepper is nutritious! Dry chili is suitable for stir-fry! The choice of fresh chili or chili is always uncertain. We will compare the differences between fresh chili and dry chili in this context. 5. Contains a special substance that accelerates metabolism to burn fat, thereby reducing weight; this substance can also promote hormone secretion, has a good beauty and health care effect on the skin, and is a female "tonic". 6, lowering blood sugar: Jamaican scientists have experimentally proved that capsaicin can significantly lower blood sugar levels. 7, anti-radiation: red pepper, black pepper, curry and other spices, can protect the DNA of cells from radiation damage, especially gamma rays. 8, Keep warm:If you have vomiting, diarrhea, stomach aches and other symptoms in case of cold, please consider consume some chili peppers. 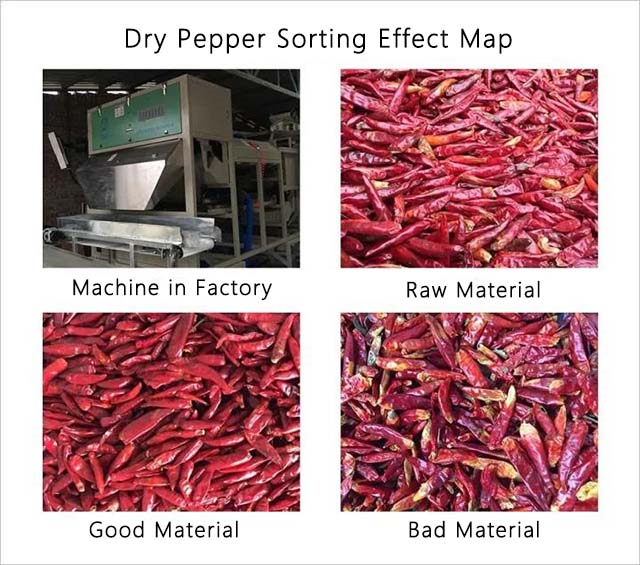 Dry chili is made from fresh peppers. The dry chili major used as a seasoning. Dry chili, made from fresh peppers, lacks many nutrients. Fresh chili peppers are suitable for direct consumption, while dry chili peppers are suitable as a seasoning and should not be consumed directly. 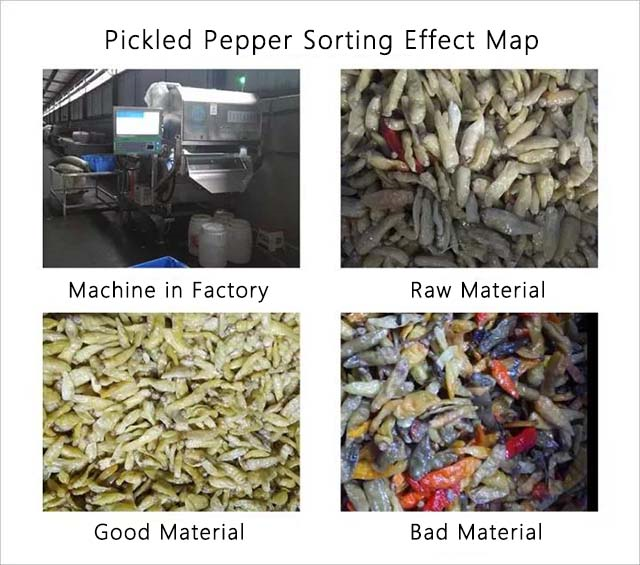 Whether it is fresh pepper or dried chili, it should be eaten according to your own physical condition. Eating too many chilies will damage the liver cells, causing diarrhea, abdominal pain, and discomfort. 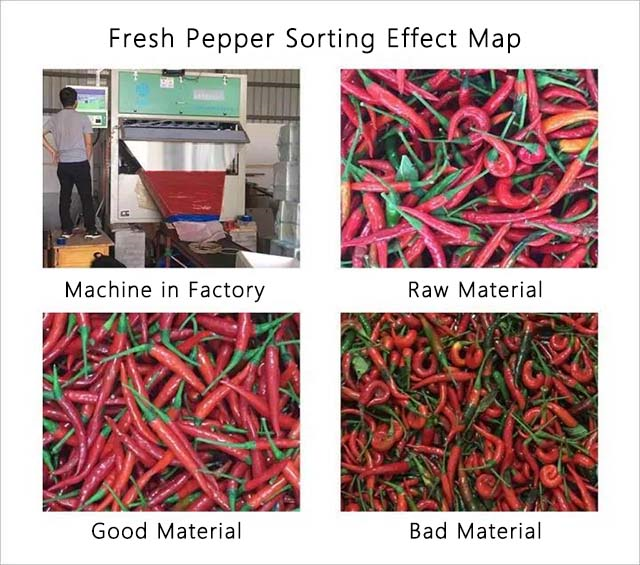 Whether it is dry or fresh chili pepper, or pickled chili pepper, Angelon color sorters are able to sort accurately.